Traveling shows-with casino nights, too! 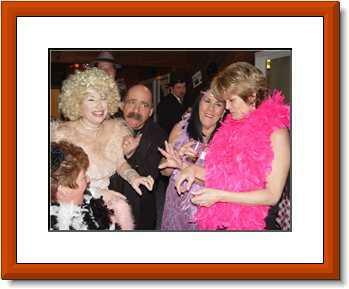 Mae & co productions/ murder for hire theater company- uses only professional actors & professional character impersonators- to bring joy and "life" to our entertaining, customized, shows!..Touted as "brilliant"!... Sharon lee daniels, writes, directs & produces!.. 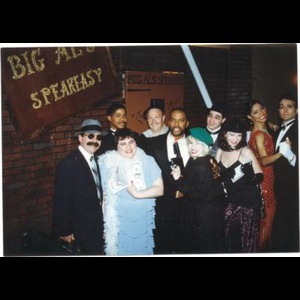 The funniest, longest standing murder mystery company, in the business!..We were the company who "started it all"! Others have copied our ideas, they are sooo good!...Yup!..Funny, clean! Interactive! And dancing!!! It's a dance party!! 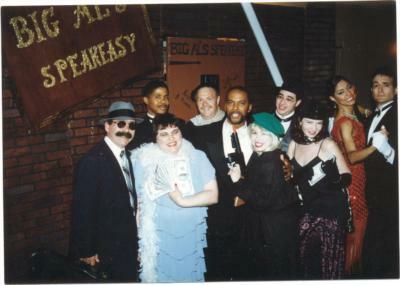 Remember the mystery shows on the liberty belle?..That was us!.Mae & co productions! Rosebriar inn?..Mae & co productions!.. Local mansions?..Mae & co prod. !....When schwarzenegger came to town, he called us!...When disney comes to town, they call us-to produce their events!..The phila. Eagles called us, to produce their events!.. PROFESSIONAL IMPERSONATOR AND TRIBUTE ARTIST. SINGING TELEGRAMS TO LARGE SHOWS WITH DANCER, "MONSTERS"! PREMIER JOAN RIVERS IMPERSONATOR, SHARON LEE, TRAVELS NATION WIDE! PERFORMING BLONDE BOMBSHELLS, MARILYN MONROE, MADONNA, DOLLY PARTON, MAE WEST & HAVE A LEGENDS SHOW, INCLUDING MICHAEL JACKSON. Please note Murder For Hire Mysteries/ Hollywood Impersonators will also travel to Deepwater, Montchanin, Rockland, Winterthur, New Castle, Yorklyn, Bridgeton, Deerfield Street, Delaware City, Newark, Kirkwood, Saint Georges, Alloway, Cedarville, Harrisonville, Port Penn, Quinton, Hancocks Bridge, Salem, Ewan, Elmer, Odessa, Richwood, Newport, Woodstown, Camden, Grenloch, Greenwich, Malaga, Millville.